Hello, my dear Aliholics! Here is another AliExpress haul. What are we going to see today? You’re about to find out! Links to all the products are below the video. The first product that we are going to unbox today is the Bluedio BS-2 speaker with an unfortunate model name, that we have previously seen in the 5-25 dollar speaker review video. This thing packs the most natural sound, and beautifully sounding bass. Although it only becomes noticeable at around 30hz, it is strong and dimensional. BS-2 is an open-back speaker, which means ‘bigger’ and a more “in a world around me” type of sound. This speaker also has a 3D mode which makes the sound – please excuse the redundancy – even more dimensional, analytical and deep. 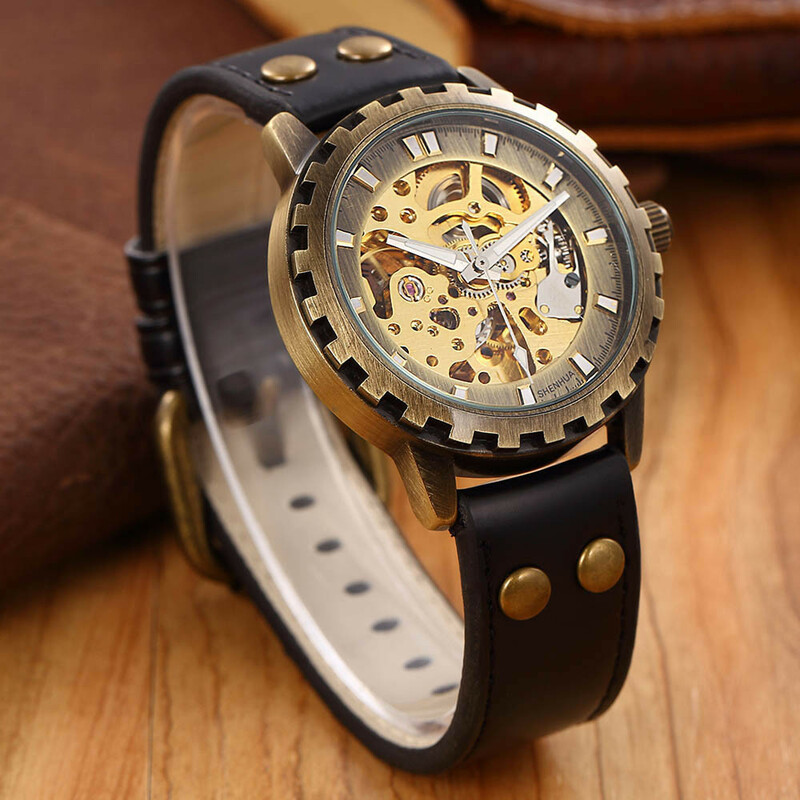 The next product is a new mechanical watch that was just below $17 with free shipping. The watch was shipped in a bubble mailer and wrapped in foam, and it did not sustain any damage. The body is made from brushed metal with soft edges, and the straps are made out of thick faux leather. The mechanical watches mean that they do not have a conventional battery, and the watches need to be shook to wind them up – the mechanism inside provisions it. The watches keep time correctly, as long as the mechanism is wound up. Otherwise, it takes about 2 hours for them to completely stop moving. This watch is quite heavy, and it does not feel cheap at all. The link to this watch is in the description. The next package is 2 new acrylic pins. They are usually shipped inside bubble mailers with no additional foam. Each pin costs about $0.50. They are made out of acrylic, which is a type of plastic. They are quite thick and solid. Each has a safety pin mechanism at the back and a layer of protective film on the front. Here we have a stretchy bungee cord. The cord itself is about 70 cm or just over 2 feet long, and it can stretch up to 2 times in length. 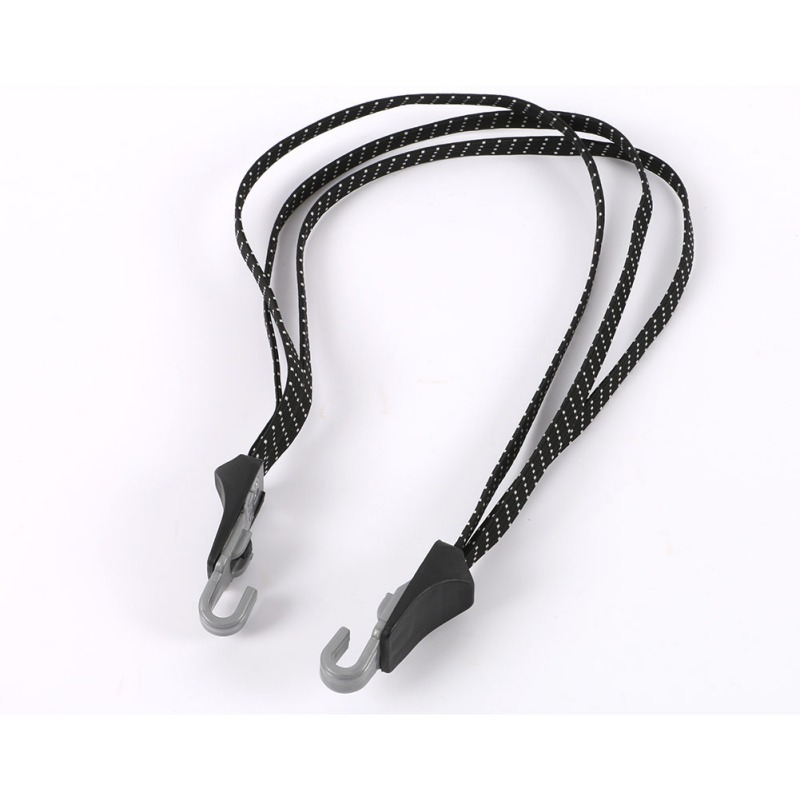 Bungee cords like that are generally used for transportation, I like this one because the plastic ends are just big enough to attach to the rear rack of my motorcycle. The plastic hooks are pretty sturdy and thick, although I question their longevity, and doubt that they would last forever. But for $1.30 that it currently goes for, I can afford to replace them every season. Here we have a bolt that unscrews itself. Real magicians don’t share their secrets, but I am going to let you in on it: inside the bolt is a tiny vibrating mechanism, so you put a small round battery inside, and attach another one to either the back of your finger with a skin-colored tape, or hide it under the table. When the outside battery touches the bolt, the thing starts to quietly vibrate and the bolt comes off. Everything including the batteries and the tape comes with, and it costs just around $2. 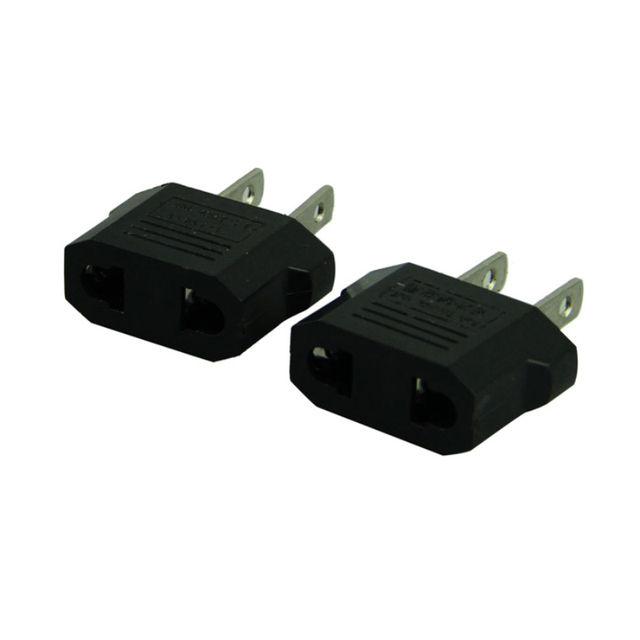 Some electronics on AliExpress are only sold with European-type plugs, and I have some electronics that I bought outside of North America, so I purchased a bunch of these adapters. These were sold for $0.32 for 2, so I got 4 just in case. There also is a link US to European ones below. The next package is a big one. This is something that I’ve never bought online before, and I’m pretty excited to share this with you, my dear friends. 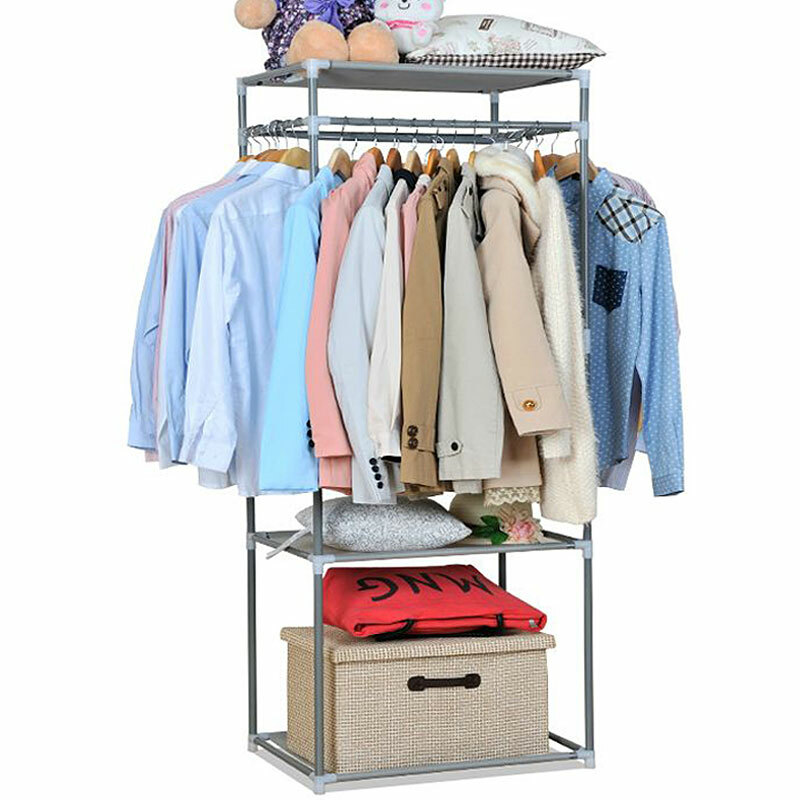 This is a $20 clothing organizer. The pipes are made from some thin meta – the description says steel, which I can’t deny or confirm, and the edges are plastic. You can build it in a way that you desire, with or without the bottom compartment. Since we planned on using it as a coat rack, I decided that the bottom compartment would be useful to have, so I kept it. So far we’ve had it for about 5 months, and it stands strong so far. It did tilt to the side a bit, but considering how much stuff we regularly put on it I am very surprised that it still in otherwise perfect condition. This thing is about 140 cm or a little over 4.5 feet tall. It took me about 10 minutes to put it together, and it could take less or more depending on your skills. You could play around with it, make it taller or shorter, this is how we have it, and I’m happy with it so far. There are usually about between 6 and 8 jackets on it, as well as Maria’s motorcycle gear, some hats and scarves on top, and shoes on the bottom. We get some good use out of it. Please email us your mailing address to k[@]aliholic.com, and your Bitcoin will be on its way.